Did you know that you could be surrounded by the second-leading cause of lung cancer right now and not even know it? According to the U.S. Environmental Protection Agency, more than 20,000 people die every year as a result of lung cancer caused by radon, which is a colorless, odorless radioactive gas that is found inside of many homes throughout the country. Radon forms naturally when the uranium that is located in soil, rocks and groundwater breaks down. While it’s not harmful when released into an outdoor environment where it can dissipate, radon can cause problems when it seeps into your home through cracks in your foundation, gaps in your floors, or any spaces created by utility lines and pipes. The good thing about radon is that it decays very quickly and only has a half-life of about four days. However, if radon is venting into your home, it will likely continue to come up through the ground, which is what can make it very problematic. The short half-life of radon doesn’t mean you can “wait out” a radon problem, however. Because radon has a short half-life, you might be tempted to think that it won’t be an issue in your home for long – simply open the windows and the issue will disappear, right? Wrong. Radon can linger in homes and enclosed spaces, and as nice as the weather can be in the summer months, even opening windows and allowing air to blow through won’t fully remove radon – nor will it be an option in the cold throes of winter. An untreated radon problem is only going to persist, potentially worsening your health and exposing you and your family to a greater risk of lung cancer and other health issues. Radon Zapper can help you put an end to your radon problem by using active sub-slab depressurization to reduce radon levels in your home and get your home air quality back to normal. 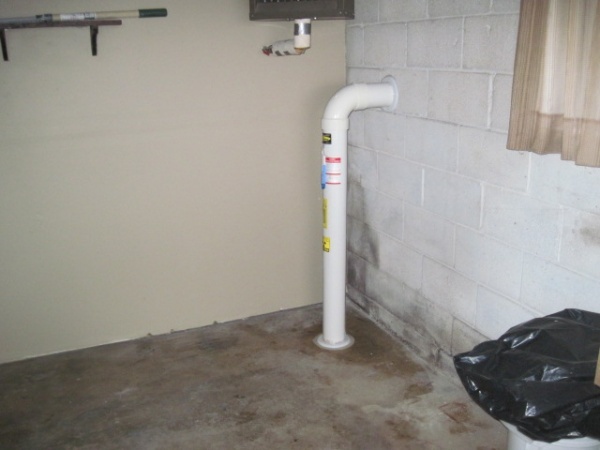 This process works by inserting a pipe into the concrete slab under your home and using a fan to remove radon. We can also offer other solutions for those looking for help remediating a radon problem. Have your home tested for high radon levels and let us help you put your mind at ease or solve your radon issues. Call Radon Zapper at 845-467-1117 today to get started. ← Where Does Radon Come From?